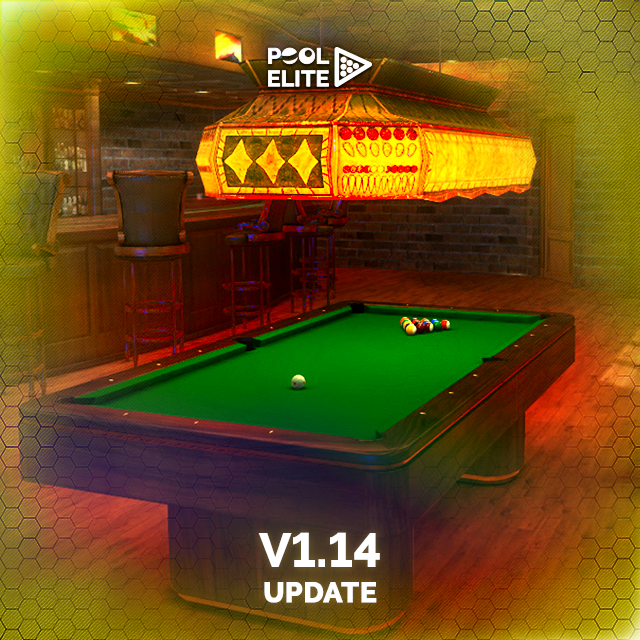 Pool Elite V1.14 Update is Live! ➤Global leaderboards has been added to Leaderboards. We will see the best Pool Elite players on Global Leaderboards and Global leaderboards will be updated every Monday. ➤Open button has been added to chest popup. Now you can open the chest by clicking Open button on chest popup. ➤Equip button has been added to item popup. Now you can equip the item by clicking Equip button on item popup. If you don’t have any item on that category, the item will be equipped automatically. -On Friends menu, the friends that you’re following will have a heart icon on them. -We will show exclamation icon on Friends icon on main lobby when you receive a friend request. ➤Big titles are removed from leaderboards. We will be able to see more players on list now. ➤Info about seasonal ELO reset has been added to “?” icons on Weekly leaderboards and Profile>Overview>Ranked screens. ELO points are reset to 1000 each season. Each calendar month is one season. Thank you for your support and comments! If you experience with any issue, please feel free to report it to us.